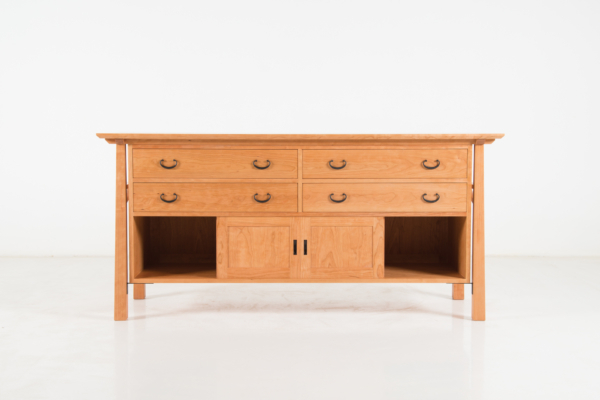 A signature piece in our American Bungalow Collection, the American Bungalow Sideboard embraces the tenets of the early twentieth century Arts and Crafts movement. Made of durable, workable North American cherry or walnut, the case employs the collection’s sturdy, reverse-tapered square legs, which frame the drawer housings and support the case with remarkable strength and stability. The American Bungalow Sideboard will complement the aesthetic of most any home environment, with a presence that’s at once powerful and purposeful. 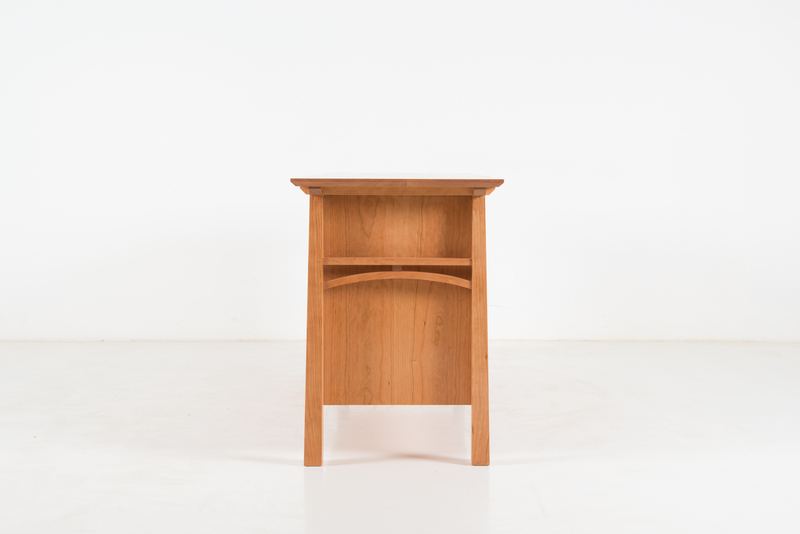 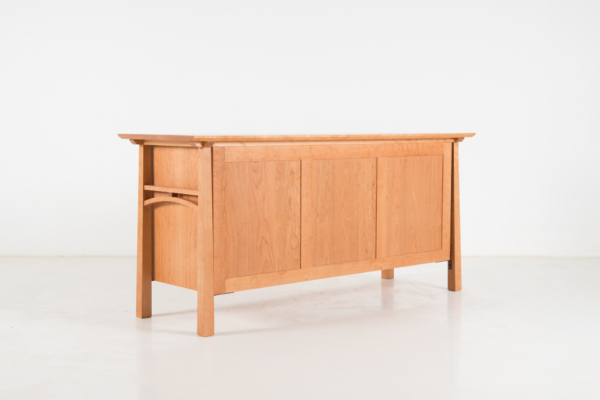 The sideboard is framed at either end by its legs, which rise in squared, reverse-tapers that integrate with the case and tabletop through the use of durable mortise-and-tenon joinery. 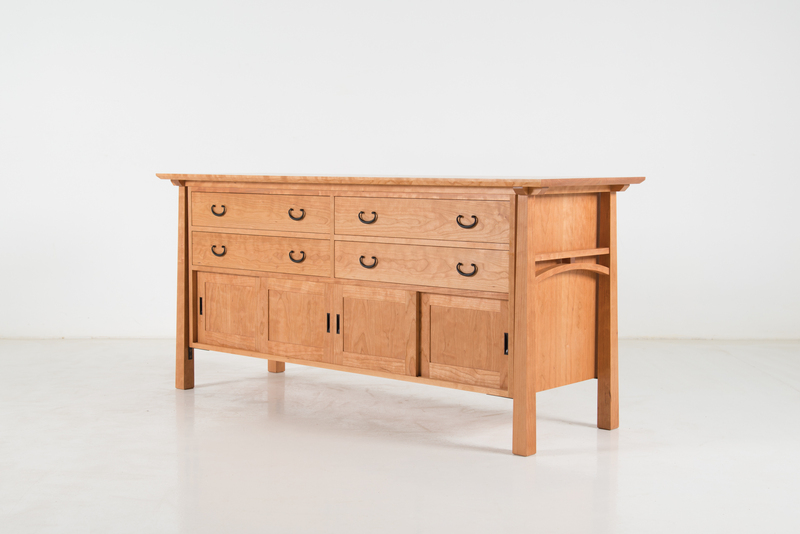 The sideboards four drawers fit beautifully and recede almost flush to the plain of its face to nest snug within the case. 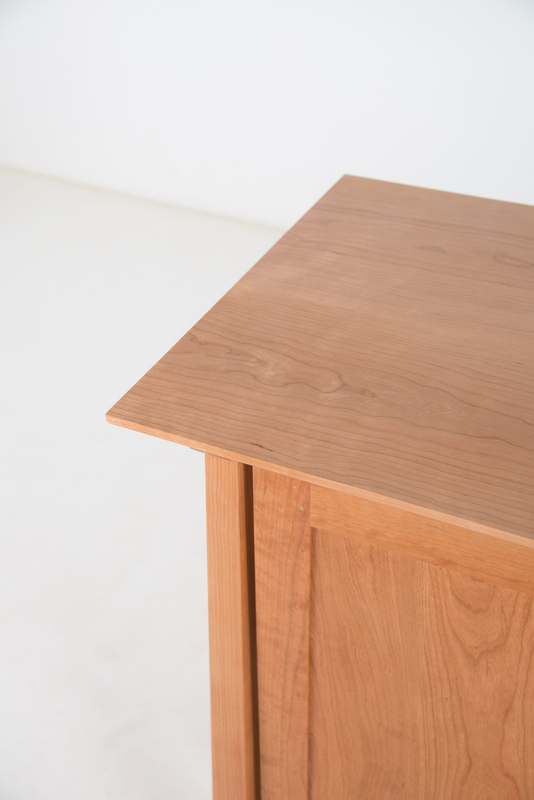 Resting on our time-tested hardwood slides, the drawers move in and out with ease, working through variations in temperature and humidity for a lifetime of use. 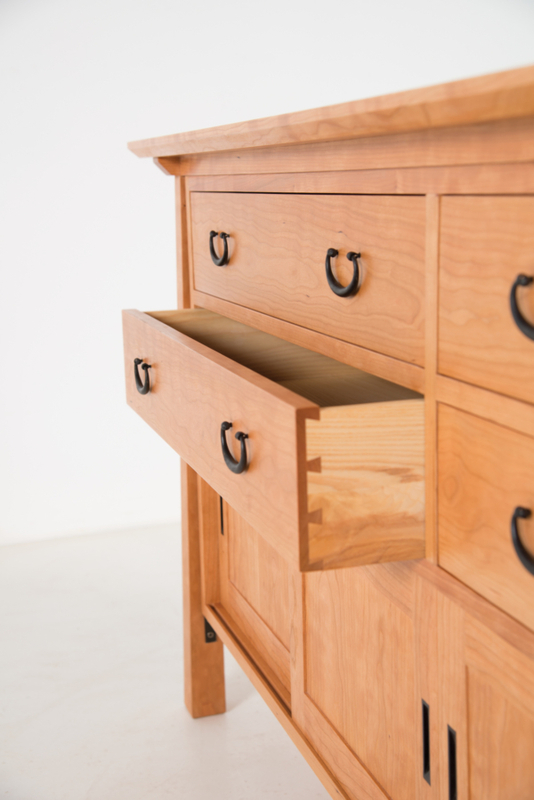 Simple handles are situated at the center of each drawer face for easy access to stored items. Along the bottom of the sideboard are two cabinets with sliding door faces that can be used for the storage of larger items. 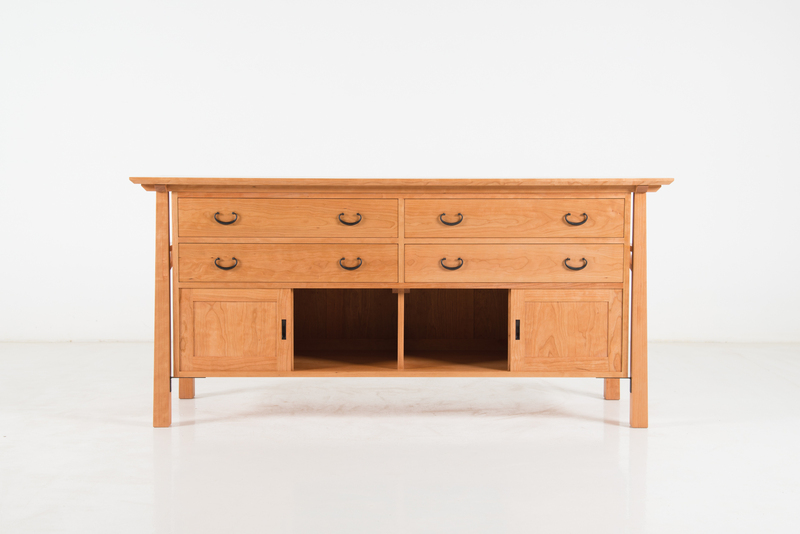 Typical of other pieces in its namesake collection, we have placed structural spreaders that suggest Asian antecedents, contrasting both straight and curved lines.